Temporary closing of window and doorway gaps in construction work has always been one of the industry’s major challenges. Typical solutions such as plastic covers are not durable, and they tend to leave extra bills for the construction partners to argue about. This problem was the foundation for the Jutland based entrepreneurial company, WINCOVER, which produces impact resistant modules that protect windows and doors during construction. WINCOVER entered the market in 2016 and we have talked to Claus Vilsen from WINCOVER, about taking the steps from a good idea to a patented solution. Søren Kristensen and Claus Vilsen worked together in the window industry more than ten years ago, and that was when the idea for a new product arose. Every day they saw examples from construction sites where windows were destroyed by defect double-glazing, glass disease, mortar fallout and burnt foil because of inadequate protection. This was their motivation to rethink habits in the construction industry, which is usually a rather conservative one. When you have a great idea, it is all about protecting it. This way you have the time to model it, and you do not need to be afraid to talk to others about it. With Claus Vilsen’s own expression, he describes the market solutions at that time as “Pullerværk” (Danish expression for trash). Therefore, the goal was to solve the challenge of damaged and dirty windows in a more sustainable, clever and effective way. 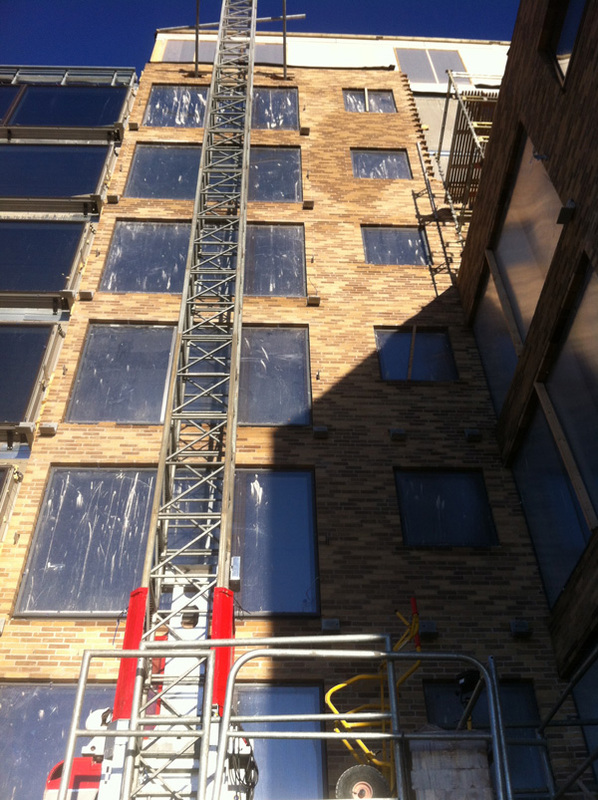 To prevent the loss of heat and help the drying process on the construction site, it is advantageous if windows are installed in the building as soon as possible. However, this turns into an expensive affair if the next team of construction workers destroy the windows in a manner so that replacement windows are necessary. In other words, a more sustainable solution has been in demand for many years. Now is the first time someone has succeeded in finding a good alternative to the traditional plastic covers. The advantages of WINCOVER’s solution are many: the module, which is mounted on the window, protects the frame, casing and glass during the entire time of construction. The material in use has a better U-value than the window itself, which helps reduce the energy consumption. Furthermore, WINCOVER creates better working conditions for construction workers, since the transparent module lets normal daylight through. The WINCOVER-system is delivered to the construction site in complete, fitted and reusable modules with matching strips and plugs for fastening. All parts of the solution are patented, which means that Claus Vilsen does not need to worry about others copying the product, when he is out to demonstrate the system to contractors and potential clients. 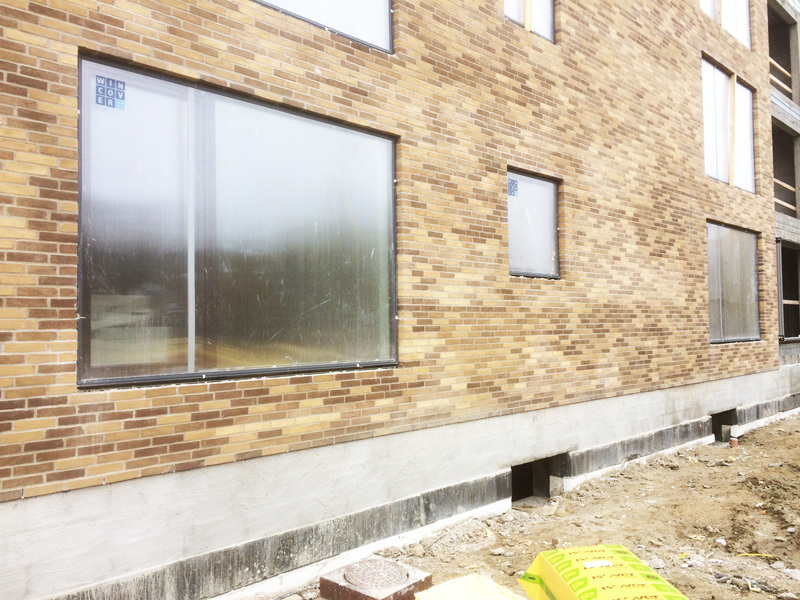 “This is not rocket science” says Claus Vilsen, as he explains that most people in the construction industry acknowledge the problem and understand the idea of protecting the installed windows properly. The technology is rather simple. Nonetheless, it is unique and valuable. WINCOVER initiated their work towards a patent in 2008, and in 2011 they applied for patent on both their product and concept. They did so to be a step ahead of potential competitors and to buy time to breathe and work on all the details. IPR is short for intellectual property rights and the term covers patents, trademarks and design protection. It is essential to consider all of these aspects and to find out which ones are relevant to implement in a company’s unique IPR strategy. Plougmann Vingtoft’s two attorneys, Michael Friis Sørensen and Ellen Breddam, have assisted WINCOVER develop their IPR strategy. Michael explains that WINCOVER is a good example of why it is a good idea to team up with a professional attorney who knows all the details of IPR legislation in order to secure the best possible protection of a product: “In WINCOVER’s case it makes sense to utilize the synergy between trademark, design and patent. The company’s solution is technically simple, which makes it difficult to obtain protection of the product in itself. Instead, we have succeeded in getting a method-patent, with which the basic method of approach is patented. This being the approach of mounting a window with an impact-resistant cover right after the back wall is built and thereafter build the front wall. Besides the method-patent we have obtained design- and trademark protection of the specific set-up of the WINCOVER modules”. Claus Vilsen tells us that IPR protection has shown to be an advantageous marketing component. “When I visit the big contractors they easily understand the platform of patent, design protection and name registration – they see that we have put some thought into this product, and they acknowledge this effort. Showing that you have protected your idea and your rights sends a good signal”. The people behind WINCOVER have done their homework and they keep developing new initiatives. Their latest project is called WINCOVER CALC and it is a cooperation with the Danish Technological Institute. WINCOVER CALC is a program that makes it possible to calculate the energy consumption for heating based on the U-value of the window, geographical placement as well as influence from the shade. The program can be used to underline the energy-related and the economic savings. It is hard to spot anything else than good sales arguments, and despite its short time on the market, WINCOVER has already become an acknowledged product. You can read more about the company on their website: www.wincover.dk.